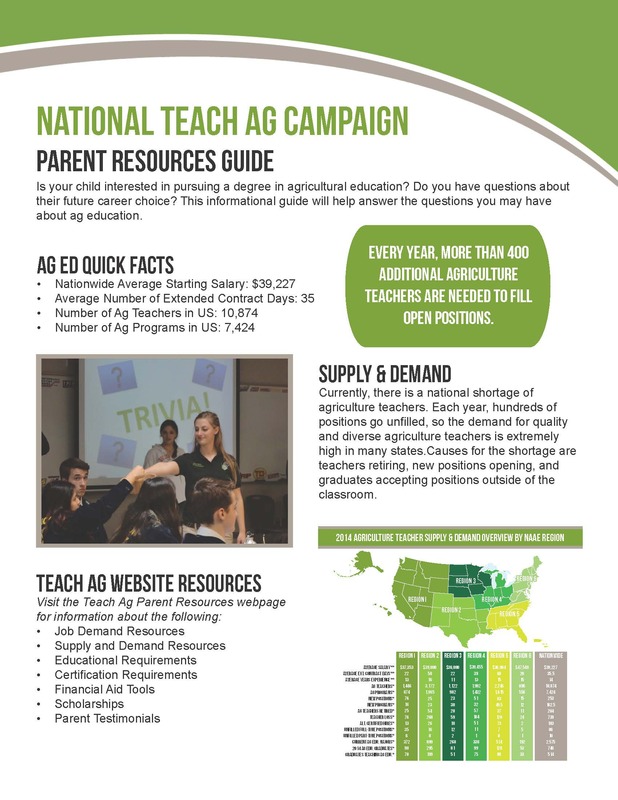 We have developed a lot of great templates, logos, and other resources to make promoting the profession of agricultural education easy. 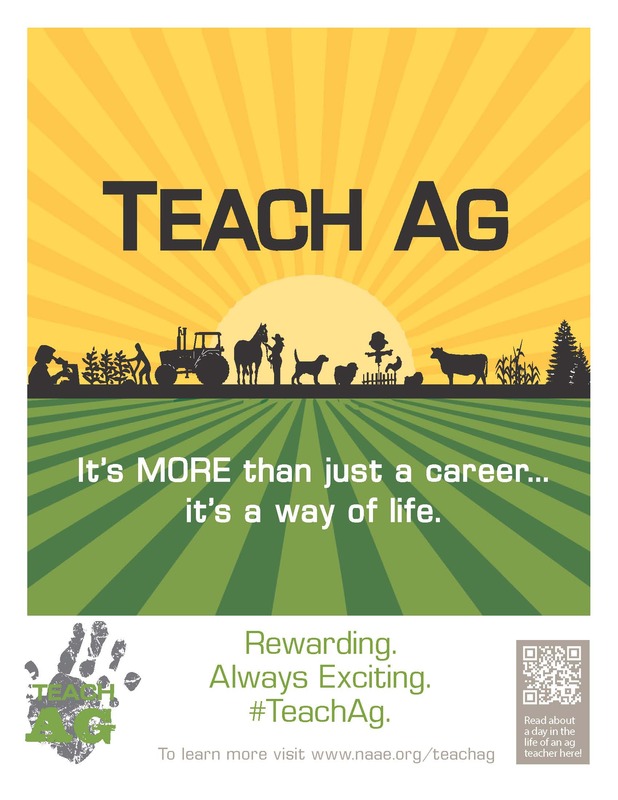 Are you or someone you know planning to become an agriculture teacher? 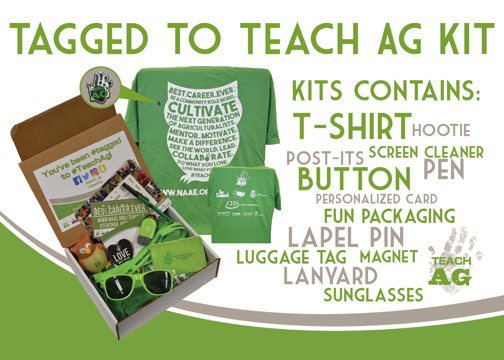 Check out the Teach Ag kits now available to purchase. Kits are $25.00. Email Andrea Fristoe at afristoe.naae@uky.edu for more information and to order your kit TODAY! Included in each of our kits is a congratulations card, which you can sign saying you think someone would be a great agriculture teacher. Want to download the card? Just click here! 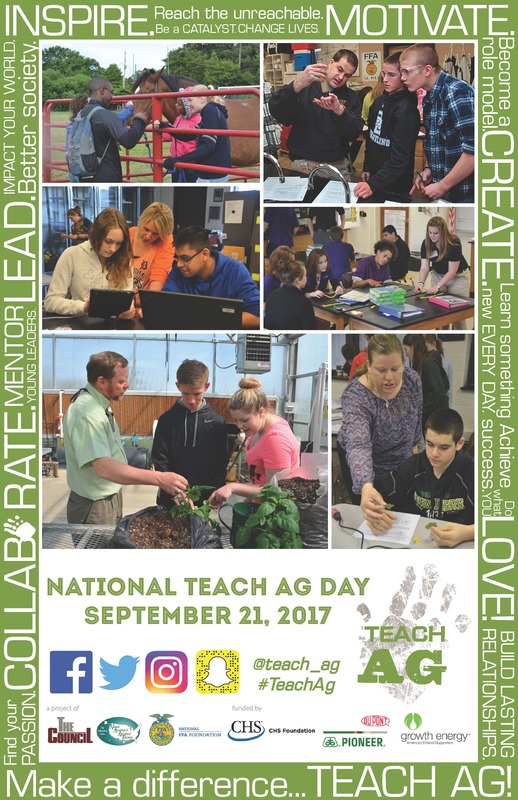 We have a few short videos that highlight the career of teaching agriculture as well as archived National Teach Ag Day celebrations. Click here to go to our videos page. 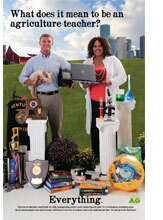 Use this brochure to promote the career of agricultural education wherever the opportunity arises. Designed to be printed on a desktop printer on letter-sized paper and folded in half. 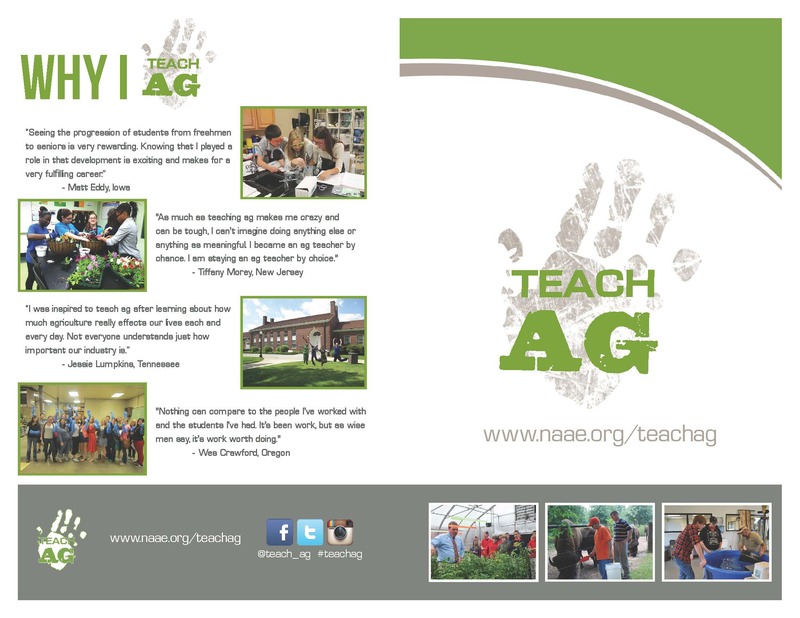 Use this one-pager to promote teaching agricultural education and the National Teach Ag Campaign. Designed to be printed on a desktop printer, double-sided on letter-sized paper. 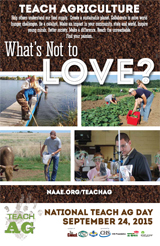 Use this flyer to help promote teaching agriculture in your school and community. 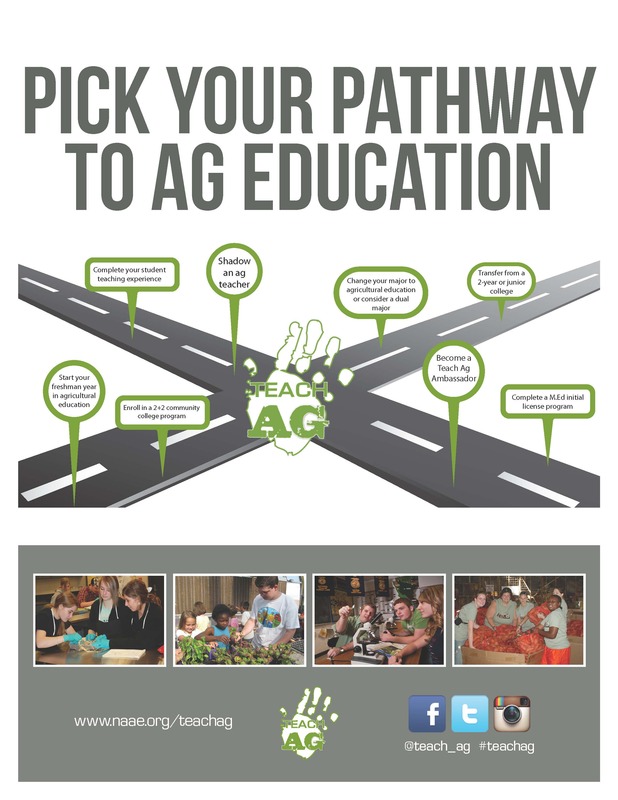 Use this flyer to help those who have been TAGGED to Teach Ag find their pathway to the classroom. Use this handout to help inform parents about the possibilities their child has with a career in ag education. Click here to download the PDF version of this document for you use in promoting agricultural education. Click here for PDF version with printer lines that you can use at a professional printing facility. Use these sticker templates to easily print TAGGED to Teach Ag stickers. 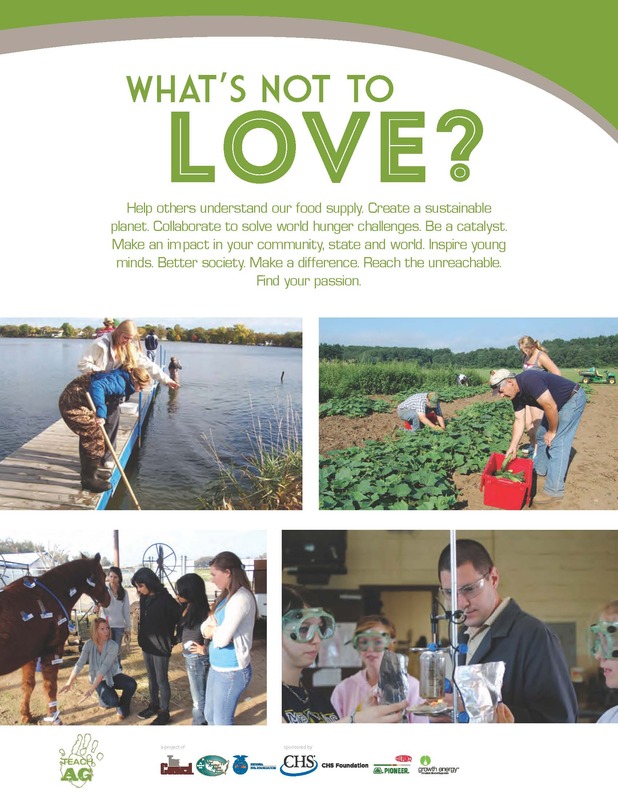 Use them in your classroom, on Teach Ag materials, or use them at Teach Ag Workshops. All templates are intended for use with Microsoft Word. *One idea — work with your state leadership to implement an invitation-only Teach Ag workshop at your state FFA Convention. Give each teacher a few stickers in their registration packet. They give the stickers to students they think should attend. The stickers serve as students' "special ticket" to the workshop. Get lots of great Teach Ag workshop planning ideas here. 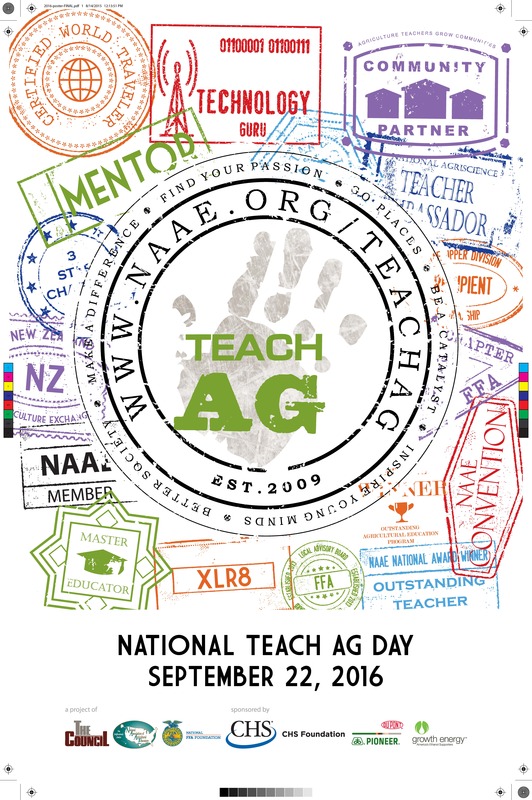 Thank you to our sponsors who make the National Teach Ag Campaign possible.